Dr William J Roche was born in 1895 in Limerick and represented Munster, Ireland and the British Lions. His club career saw him play for University College Cork, Cardiff and Newport. After playing for Newport in 1920 he moved west to play for Cardiff in the 1921 - 2 season, playing 22 games in the back row for the Blue and Blacks. Only one season later he re-joined the Black and Ambers, playing there until 1926 - 7, making 156 appearances and scoring 22 tries. 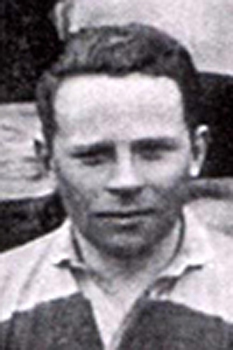 Roche gained three international caps for Ireland and was selected for the 1924 British lions tour of South Africa although he didn't play in any of the test matches. William Roche died in June 1983 at the age of 88.